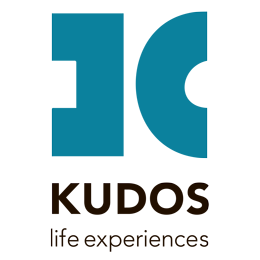 The dull routine of our everyday lives can really creep up on us without us even knowing it and when it does it is quite hard to become unstuck. The perfect solution to break free from a situation that is becoming intolerable is by removing yourself, physically and mentally from it. If you want too add more spice in your life, feel the positivity flowing again and have the energy you once did, a trip to Greece for either a long weekend or a long holiday is ideal to regain that vibe. Why Greece? Very simple answer, it is serene and peaceful. The perfect country to relax and just enjoying the company of your loved one. Being surrounded by heartwarming people, who are experts in making you feel at home, will leave you with a pure and pleasing feeling that might just spark up your energy once again. The following locations apart from gorgeous are also tranquil with a dash of adventuress and a hint of liveliness, just enough to awaken all your senses and have you think outside the box and feel your forgotten emotions. Once your Greek experience will be over, you will have your batteries full, ready to take charge of your once sluggish routine and substitute it with the “Greekness” it needs. 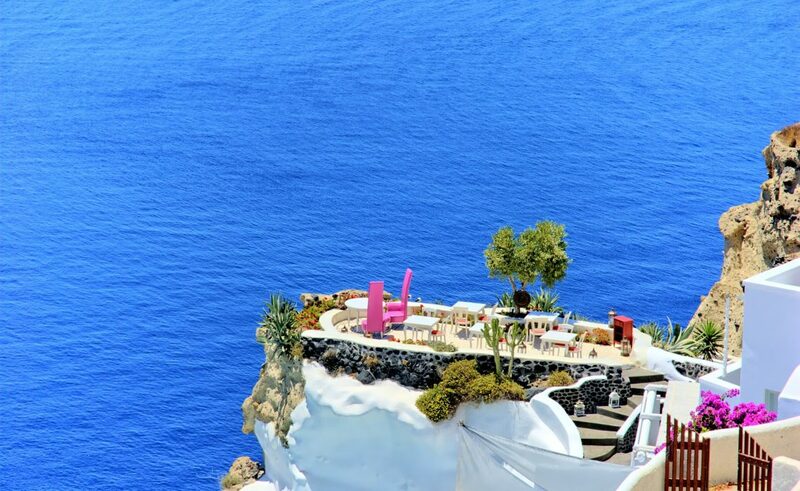 If not the most famous romantic islands of all Greek islands, then surely Santorini makes the top 3 cut. As many times as one writes about this place, or reads about it, it is just not enough. Even visiting it once is not enough. 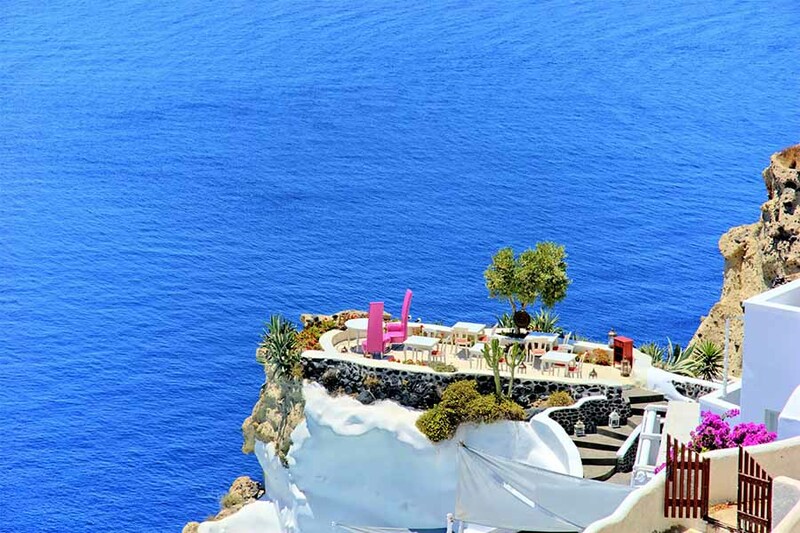 Santorini is a truly magical island that can possess anyone into becoming a hopeless romantic. Hundreds of thousands marriage proposals have been made there as well as destination weddings all overlooking the magnificent colorful sunset and the sparkling waters of the Aegean Sea. It is a place where you could absolutely release your sentimental self without being judged and not having a care in the world. A truly fascinating island, that is so unique and extraordinary due to its rare geological formation, it makes you just want to explore the island from corner to corner with the one person you love most. This is an adventure that you would want to share with your significant other, creating memories that only you two will cherish. 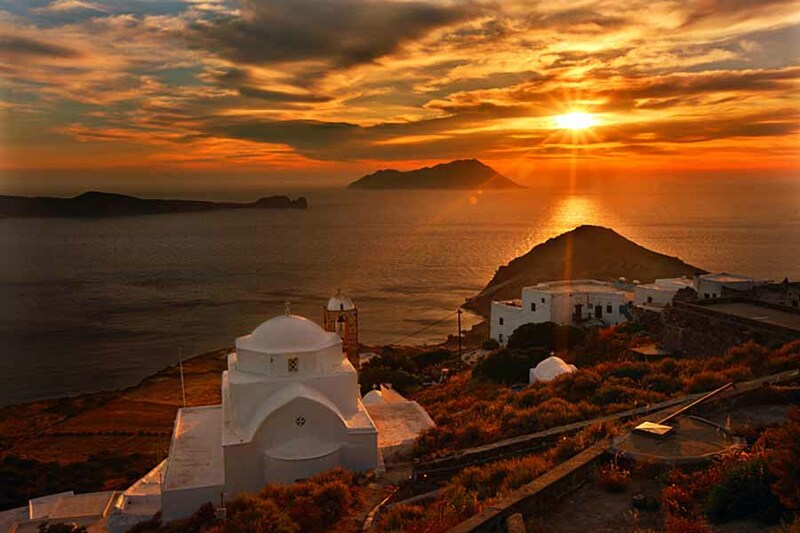 The romance on Milos Island dates back to the ancient times (150 B.C.) as the Aphrodite of Milos sculpture, known as the Venus de Milo, who represents the goddess of love and beauty was discovered and is admired today in the Louvre Museum. Perhaps an odd choice as it is not a widely common area to visit to rekindle any romance. 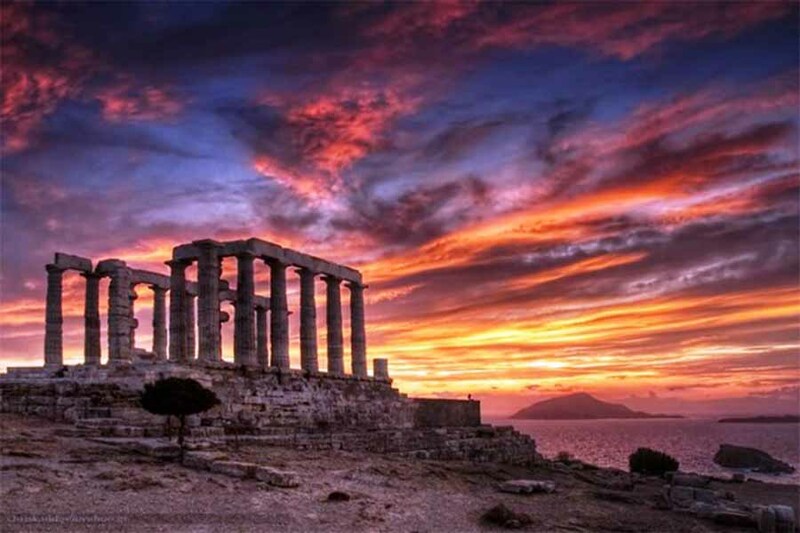 We beg to differ, as Cape Sounio is just a breath from the center of Athens, offering a completely undisturbed setting with whimsical colors scraping the sky and the Temple of Poseidon standing majestically on the top of a rocky cliff overlooking the clear waters. Lord Byron, a leading poet during the Romantic Movement, was utterly taken by this place, that it is said that he has left his signature on one of the marbled columns. No cars, no noise and no pollution. Just horse carriages and donkeys, lavish houses, serenity and fresh air. 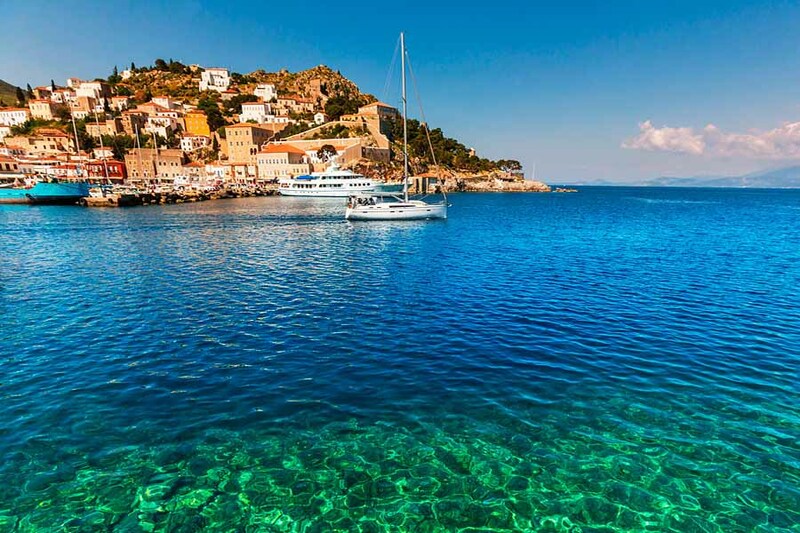 Step back in time on this picturesque island in the Saronic Gulf, not even a couple hours far from Athens. The simplicity of this island along with the dreamy atmosphere makes it one of the most romantic getaways for Greek and foreign couples who want to be nestled far from the hustle and bustle of any city. This Greek castle-town in the Peloponnese is completely ideal for lovebirds as they can reenact their passionate romance in the most fairytale-like way possible. A natural fortress is the lead setting and has numerous other props that one can work with such as cobbled stone paths, preserved stone houses and a bunch of other clichés that make this Medieval town mesmerizing, mysterious and graciously offers sensational views of the Myrtoan Sea.